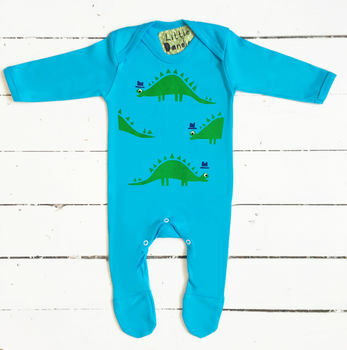 Aqua blue animal babygrow features a handprinted green dinosaur in navy blue trilby hat. With a small cheeky hat printed on the back at the bottom. 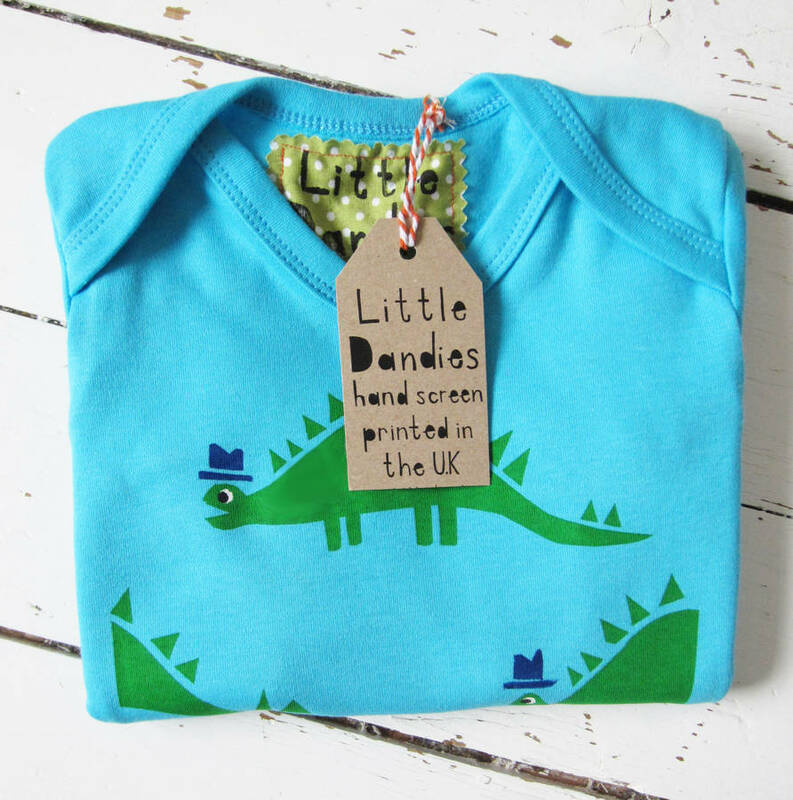 'Little Dandies' babygrows are a really fun, unique newborn baby boy present. We have a wide range of animal print babygrows in funky bright colours and personalised options, see sellers 'complete range' on the right, also a matching big brother personalised dinosaur t-shirt. Fabulous baby gift. 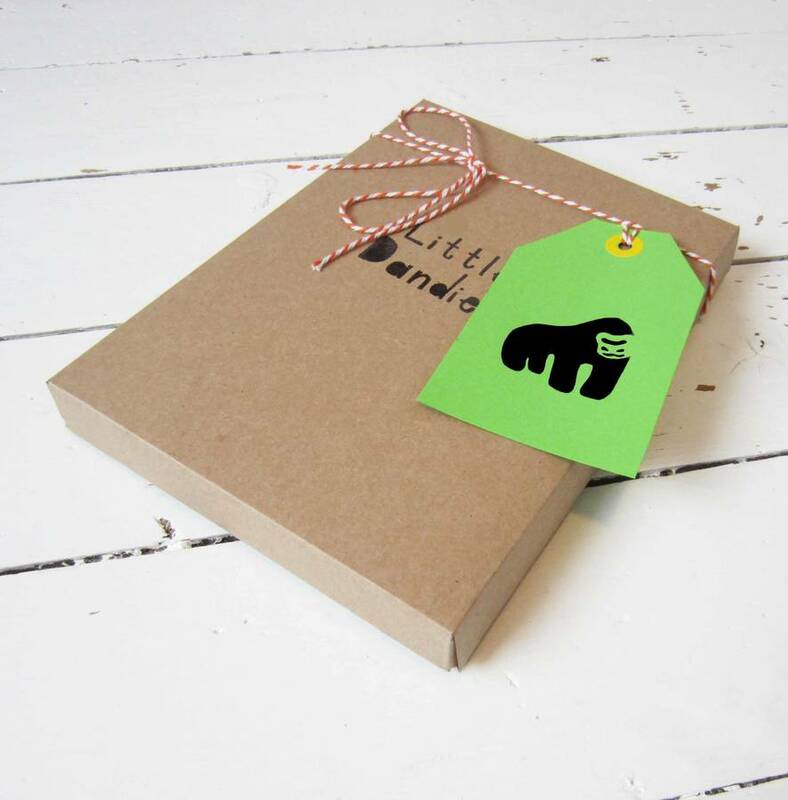 Because all little Dandies products are hand printed by us, there will be some discrepancies between them. This could include slight colour variation or placement of image. We feel this is part of their quirky uniqueness! We try our best to make our colours as accurate as possible, but website images are intended only as a guide. 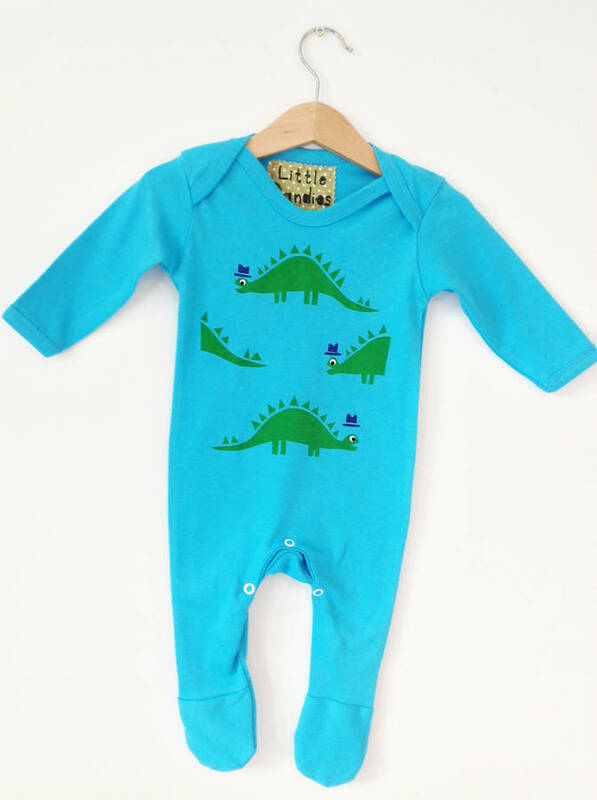 Our funky colourful babygrows are hand-printed by us and made in the UK, every one is unique and special. Love this design? We also have the same designs and more in animal printed cushions, t shirts sweatshirts and new in posters!. 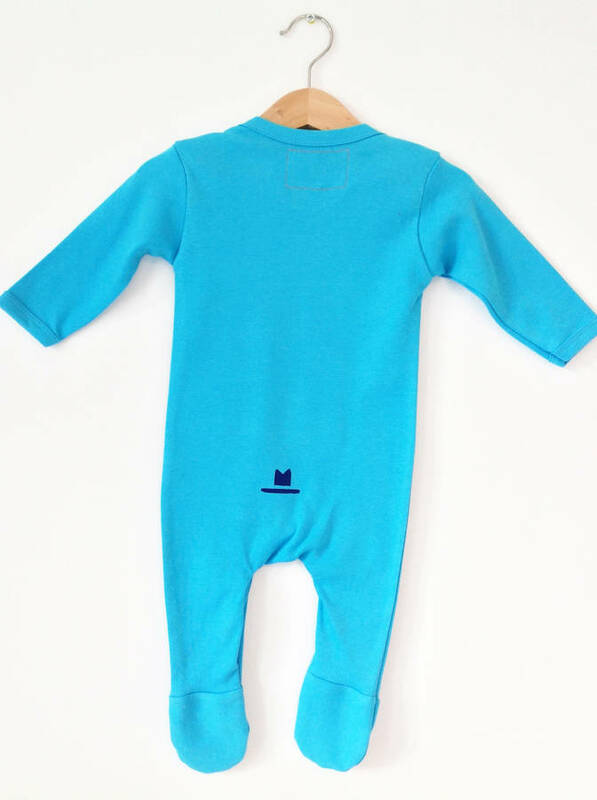 Babygrows are currently available in 0-3 and 3-6 months. If you spend over £30 with 'Little Dandies' in one transaction you will recieve free delivery to the UK. 100% Cotton made from the highest quality material.